I made these for a dessert but they’re equally good for elevenses, or threeses or fourses if you’re having an afternoon cuppa. You can buy special oval friand tins but a bun tin works just as well. In the unlikely event that you have leftovers, they freeze well. Preheat the oven to 200C/400F/Gas Mark 6. Lightly butter a 12-hole friand or bun tin. 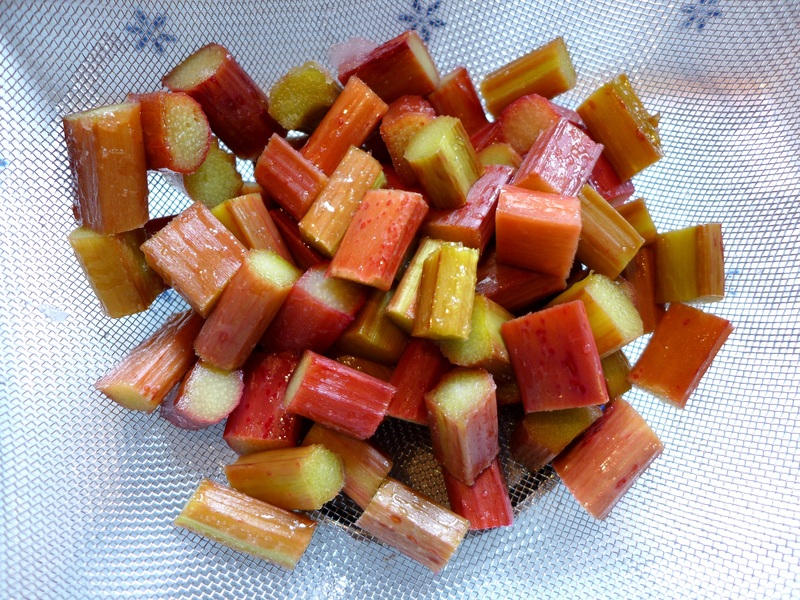 Put the chopped rhubarb in one layer a large flat oven-proof dish and scatter with 30g sugar. Roast for about 10 minutes or until the rhubarb just tender but holding its shape. Remove and drain thoroughly: the cakes are meant to be moist but you don’t want the batter too wet. Allow to cool. Melt the butter in a small pan over a moderate heat until it is a deep, golden nut-brown but watch it carefully so it doesn’t burn. Set aside to cool slightly. Mix the flour, sugar and ground almonds in a large bowl and stir through the orange zest. Beat the eggs whites until soft and fluffy but not standing in peaks. Stir the egg whites gently into the dry mix then pour in the nut butter and mix it in thoroughly, but without knocking all the air out. Add the orange flower water, if using. Spoon into the tin, filling each cup halfway and rapping the tin on the counter to settle the batter. 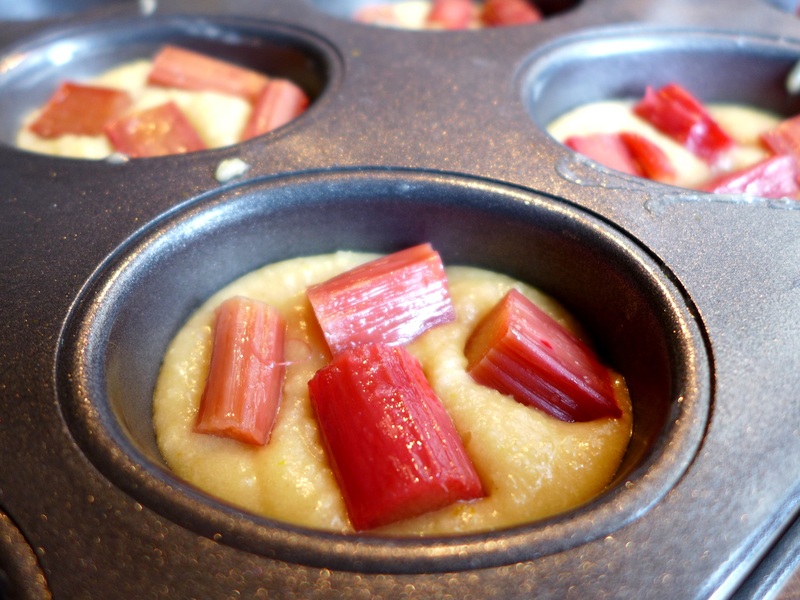 Drop three or four pieces of rhubarb into each cake. Bake for about 10-20 minutes (friand tins are deeper than bun tins so may take a little longer) until just golden. Allow to cool slightly before gently removing the cakes onto a wire rack. 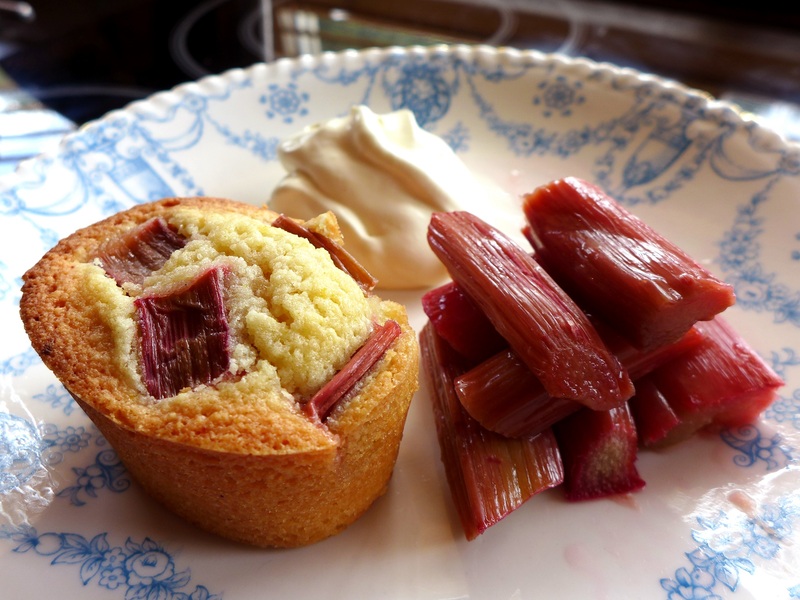 They’re good with extra roasted rhubarb on the side and a dollop of softly whipped cream, to which you can add a whisper of orange flower water and a little honey if you like. Don’t overdo the orange flower water or it’ll taste like soap. This entry was posted in Desserts, cakes and biscuits, Fruit, In the garden and tagged almond cakes, rhubarb and orange friands by Linda Duffin. Bookmark the permalink. I am also a pushover for desserts with almonds or hazelnuts and fruit. I adore rhubarb. This is another great recipe. Thank you! Almost done, another week I think…. Woo! Looking forward to seeing the pix. Sorry, I said that already, didn’t I? Buy friand tins immediately! Done! Well, not DONE exactly, but planned. 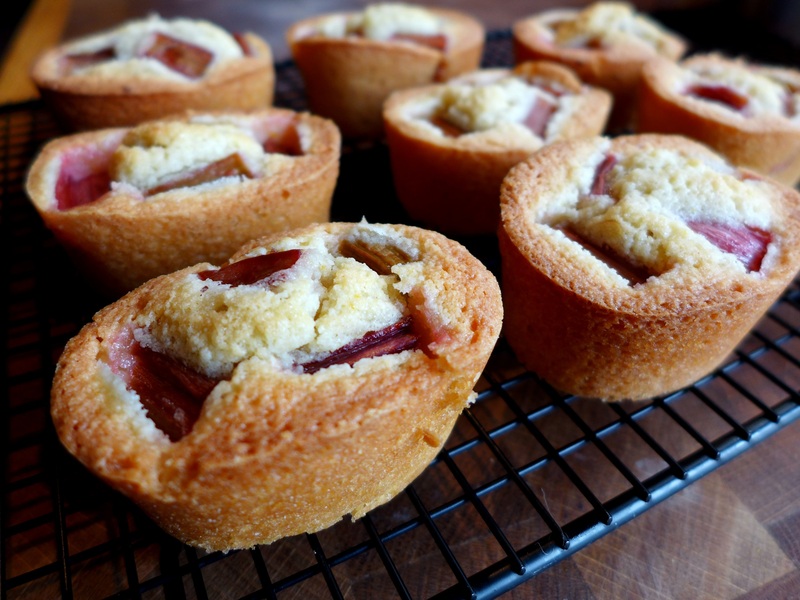 These look lovely, being a lover of rhubarb I think I may have to make these!!! Yum!